WHAT: This is one of those truly strange specimens of the plant world – really too weird to be called beautiful, but never-the-less fascinating and a real show stopper; have had a steady stream of people coming by for a viewing of this quite incredible plant since it came my way as a gift – certainly infinitely more interesting that a tub of talcum powder! Common to south-east Asia, I was also surprised to find that certain species are also native to the northern tropical parts of Australia as well as Africa. 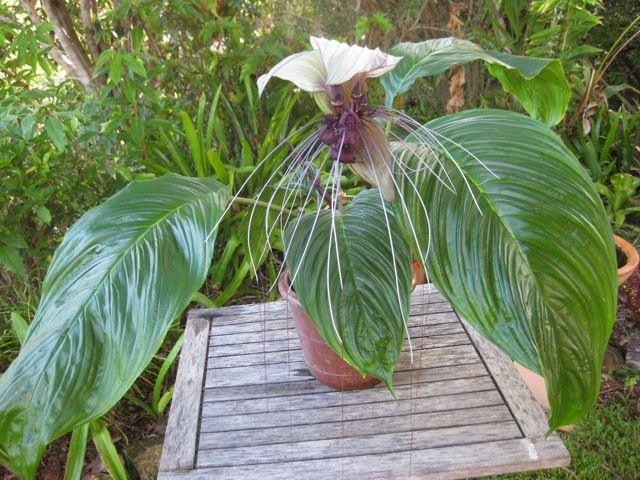 It comes in this white and black/purple flowering variety as well as a totally black specimen Tacca chantrieri. 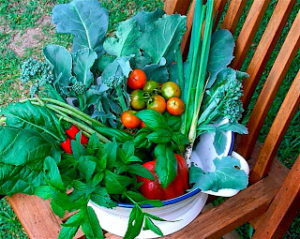 The leaves are also spectacular, glossy green and huge – some of the ones on my specimen reach over 50cm long. The flower appears in bud as a kind of folded over white hand. These paper-like fingers (sepals) begin to separate revealing purple pods inside with lots of white whiskers growing out of the side. The petals of the purple pods (individual flowers) begin to recurve, exposing the inner part of the flower, and the white whiskers just get longer and longer, with the ends turning purple as it matures. 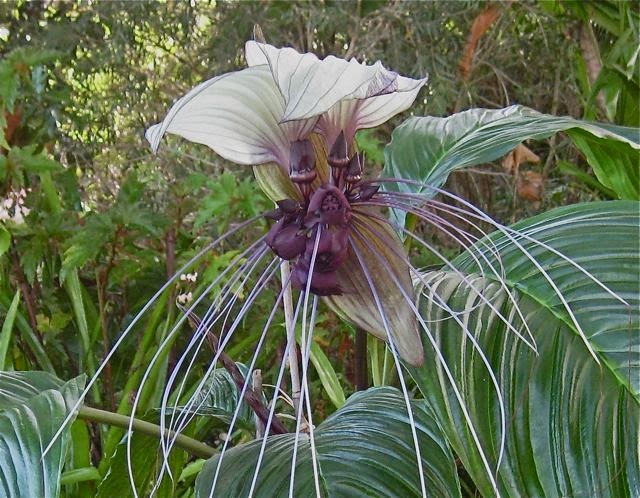 Each inflorescence lasts about a month and, by that time, the whiskers are not white at all, but totally purple – very strange! 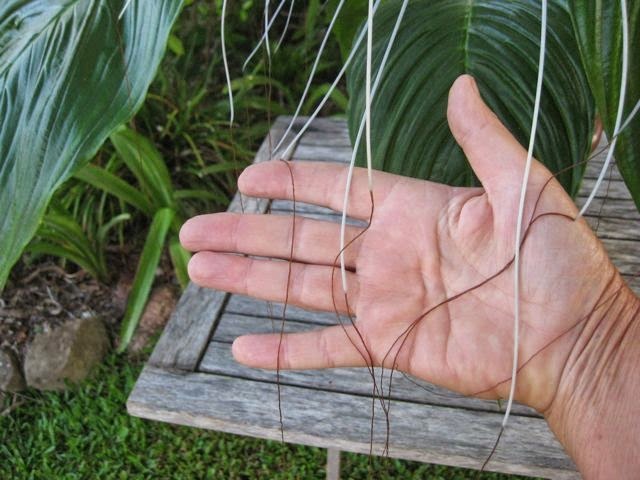 This is a tropical plant. Don’t let me dry out in the summertime. Don’t over-water me in the winter. Put me in partial shade – not full sun. Will not tolerate very chilly winter weather (below 15oC) – so, if that’s your place, find a nice warm, protected spot for me when it’s cold outside. Give me a continuous stream of admirers – I’m a bit of a show-off! As the Bat Flower is part of the arrowroot family (similar also to Canna Lilies) it is easy to propagate by dividing the root – best done in early spring.